Location,view,private,quiet, all the possible amenities. Good for a family with children, good for a young as well as for an older couple. Very exclusive area very chic, casual chic. Big house, bed very comfy. lot of space for family. Nuccio the owner is very nice and makes you feel at ease. The pool is beautiful. Tolle Lage, sehr ruhig und trotzdem alles gut mit dem Auto zu erreichen,wie Strände, Restaurants und Einkaufsmöglichkeiten. Sehr schöner Pool. 2 Bäder! Die Grösse der Zimmer war schön und dass es überall Fenster hatte auch in den Bädern war positiv! Die Veranda war schön gross und es war ruhig. Lock in a great price for Cottage Cala di Volpe by KlabHouse – rated 8.5 by recent guests! Boasting a spacious garden with an outdoor swimming pool, together with free WiFi in the houses, Cottage Cala di Volpe by KlabHouse is located in Cala Di Volpe on the island of Sardinia. Each house features a spacious patio with table and chairs, a veranda, and a living/dining area with kitchen. It overlooks the garden and golf course near the property. Porto Cervo is 4.3 mi from the property, while Olbia Airport is a 30-minute drive away. The entrance to the Pevero Golf Club is 0.6 mi from the apartment. 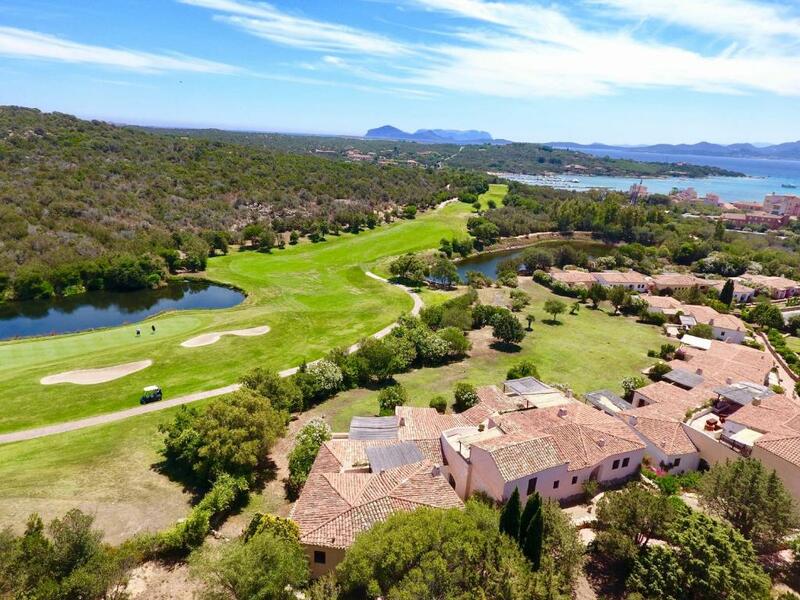 This property is also rated for the best value in Porto Cervo! Guests are getting more for their money when compared to other properties in this city. When would you like to stay at Cottage Cala di Volpe by KlabHouse? This house has a terrace, living room, kitchenette and 2 bathrooms, 1 with a bath and 1 with a shower. This house has a terrace, living room, kitchenette and bathroom with bath and shower. This villa features a dining area, seating area and kitchenware. This holiday home has a private entrance, kitchenware and microwave. We offer a wide range of villas, houses and apartments, together with reliability and professionalism. Through our expertise, we can match our customers’s expectations and guarantee you a wonderful holiday. Our philosophy is based on the art of welcoming guests, guaranteeing not only comfortable accommodation but also quality assistance and service in order to make your stay an unforgettable experience. Cala di Volpe, one of the most beautiful bays of the Costa Smeralda, is located in the municipality of Arzachena, in the province of Olbia-Tempio. All the land around fascinates by the beauty of the beaches and the quality of its sea. Cala di Volpe is composed of several small beaches, rich in Mediterranean vegetation and thickets of juniper trees bent toward the sea from the Mistral wind. The beaches are characterized by a pink sand. The backdrops are quite low and the water is crystal clear and very transparent to the shore. Seaward becomes emerald until you reach the color cobalt horizon. Costa Smeralda is by definition the land of worldly life. Pretty much the best of Italian social life in the summer moves here. Local events, literary events, gastronomic and sports, clubs and concerts. House Rules Cottage Cala di Volpe by KlabHouse takes special requests – add in the next step! May be it would be nice to have the apartments Cleaned at least every other day.